Are you a health care professional who comes into regular contact with people with Alzheimer’s disease, other dementia syndromes, or mild cognitive impairment (MCI)? Then this compact guide to psychotherapy on the diagnosis, assessment, and treatment of dementia is for you. As the number of older adults with dementia continues to skyrocket, every health care professional needs accurate, up-to-date knowledge of these conditions, their prevention, and possible treatments. 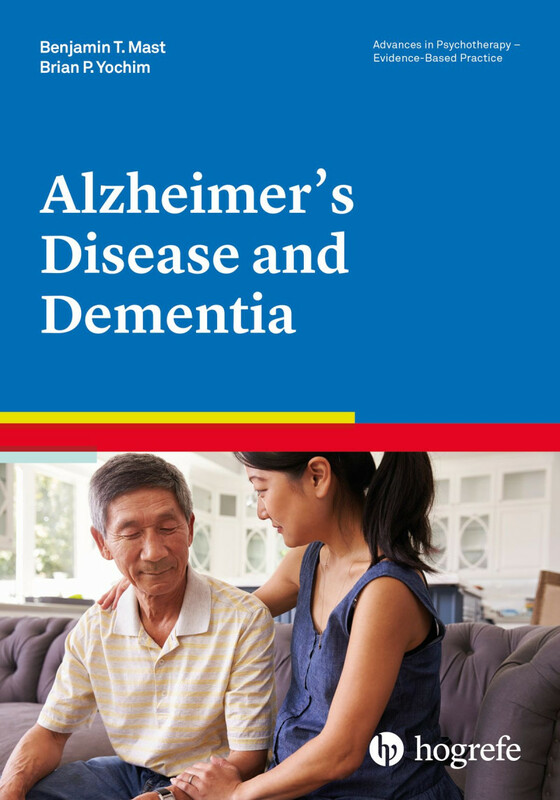 This compact, evidence-based book discusses essential aspects of the diagnosis, assessment, and interventions of Alzheimer’s disease and the syndromes of dementia and mild cognitive impairment (MCI). It reviews the diagnostic criteria from the National Institute on Aging, Alzheimer’s Association, and the DSM-5 and provides a broad range of treatment options, including psychosocial, educational, and lifestyle interventions. Practitioners will especially appreciate the current overview of caregiver interventions. Practitioners and students alike will find the clear information, the tools for assessment, and other resources provided in this volume extremely useful for helping patients and their families cope with dementia. "At first glance, an informed reader may feel surprised by the brevity of [the book], but the material is presented in such a way that makes the book an excellent introductory tool for practitioners or students interested in obtaining an overview of ADRD [Alzheimer's disease and related disorders]. Each of the chapters is very effective in integrating evidence along with clinical recommendations related to treatment [...]. Moving forward, I likely will recommend that my research team members (current and future) read Mast and Yochim given the very concise yet effective presentation of key topics related to ADRD diagnosis and treatment." "The authors have digested a massive amount of the latest research on Alzheimer’s and dementia, yielding a state-of-the art understanding of the assessment and treatment of neurocognitive disorders germane to readers from diverse health services disciplines. Particularly impressive is the integration of science and practice from neuropathology, psychopharmacology, gerontology, neuropsychology, and clinical psychology that will benefit both academics and clinicians." "This is the book on dementia that I’ve been waiting for – a concise, evidence-based volume that covers the essential aspects of diagnosis, assessment, and treatment of persons with Alzheimer’s disease and related conditions. This is the one book that healthcare providers across disciplines should have ready access to in their work with individuals and family members who are struggling with possible or clearly established dementias." “This book provides best practices in assessment and intervention in a clear, concise, and insightful fashion. The experience and insights of the expert authors come through in terms of both the breadth and depth of information they provide. A must-read for every clinician working with people with dementia and those caring for them." "This book, written by well-regarded researchers, offers a contemporary overview of Alzheimer’s disease and dementia that both the seasoned practitioner and the new graduate will find useful. The breadth of interventions covered is impressive, encompassing lifestyle interventions, person-centered treatments, and caregiver and dyadic approaches. A section on multicultural issues is most welcome, and points to the care that must be taken in clinical practice for diverse client groups."